A handful of well-curated country chic pieces can bring a breath of fresh air to any home. 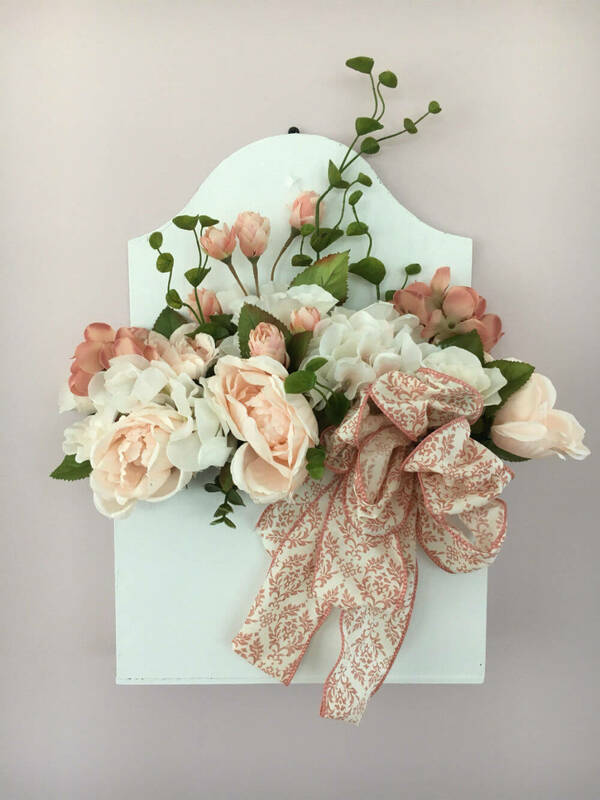 Whether you are looking to add some elegance to your country home or infuse a little country into your urban or suburban home, these farmhouse-inspired floral displays strike just the right balance of stylish, cute, and rustic. 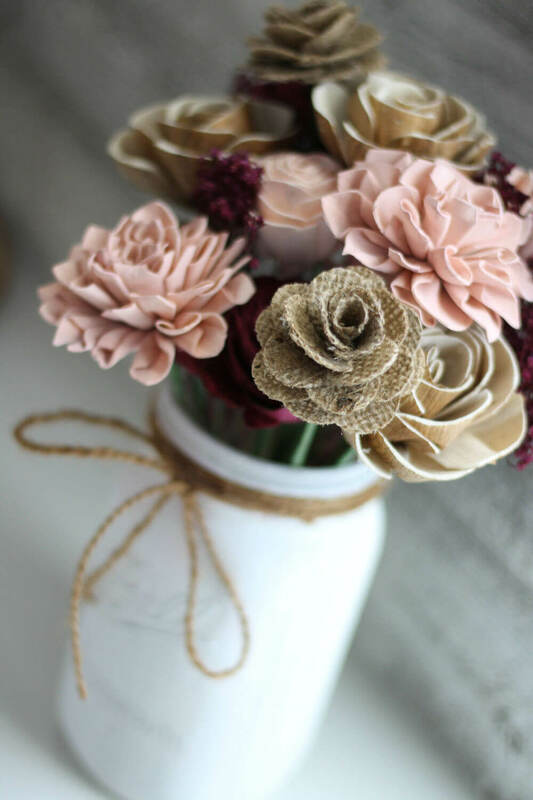 Made from modest yet beautiful elements such as Mason jars, dried flowers, twine, sola wood, and repurposed wooden boards, these creative arrangements will lend romance and charm to any room. Choose a few of your favorites to pepper throughout your home, and you can create a lovely theme that continues room to room. What’s especially handy about this décor is that it works just as well inside as outside. Don’t limit yourself to table tops, hallway accents, and door ornaments; think entryways, patio banisters, and garden furniture. While they look as dainty and elegant as a fresh rose, these handcrafted pieces are hardy as the wood they’re made of. There’s no reason to keep it to just the home, either. With the DIY aesthetic becoming a go-to style nowadays, these upscale farmhouse flower decoration ideas will fit in beautifully at garden parties, family celebrations, and even weddings. Feast your eyes on the best that country chic has to offer you and your home. 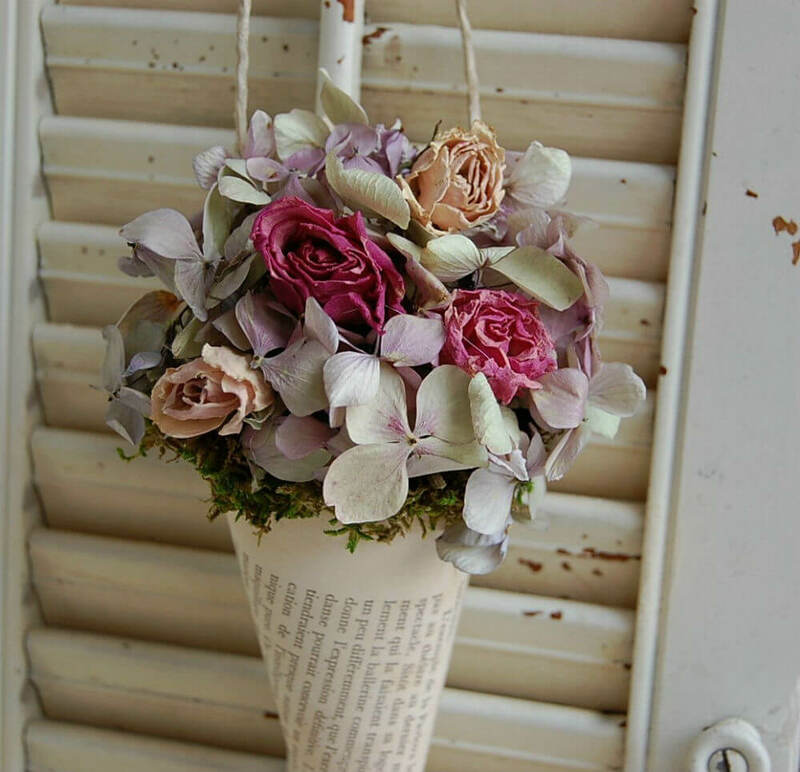 A petite bouquet wrapped in French prose makes for a delightful piece to hang on a wall or door. Each bouquet is custom-made and often includes pinks, yellows, and greens. The burlap twine gives an additional rustic element and feels as though it came straight from a provincial cottage. With its French inspiration, this piece will put the chic in country chic. 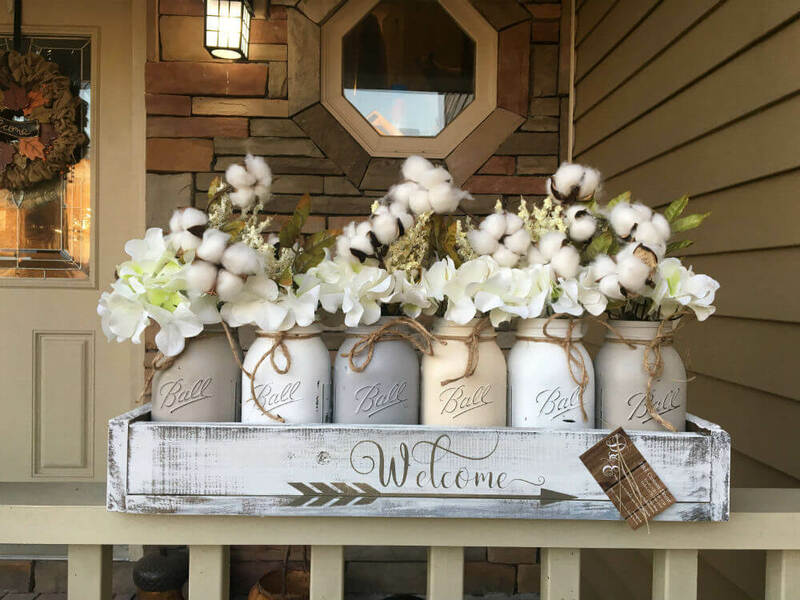 A larger centerpiece of Ball jars overflowing with delicate white cotton and flowers welcomes guests to your country abode. This display will brighten up any room and is customizable. It can even be used as a ready-to-go substitute for a window planter box. Wherever you place it, this lovely piece is sure to draw attention. A unique piece for anyone looking to add a farmhouse flair, this mounted watering can wall decor can be filled with your choice of fresh or artificial flowers. Rotate the flowers to match whatever season or colors you prefer, and display this wherever you want to feel most at home. 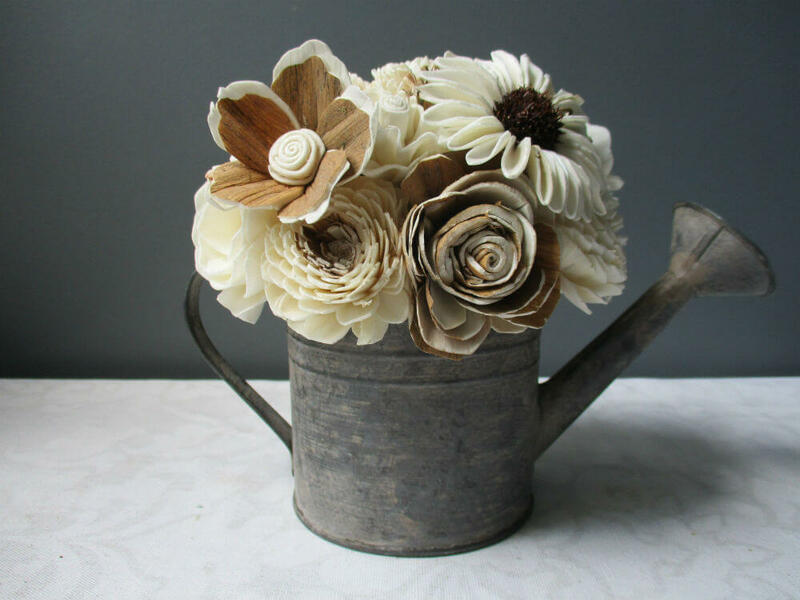 Wood flowers are one of the dreamiest pieces of farmhouse-themed home décor. They capture the natural romantic element of fresh flowers but have the benefit of a long life. This particular piece takes their idealistic beauty one step further by mounting them on a simple yet elegant white-washed wagon wheel. 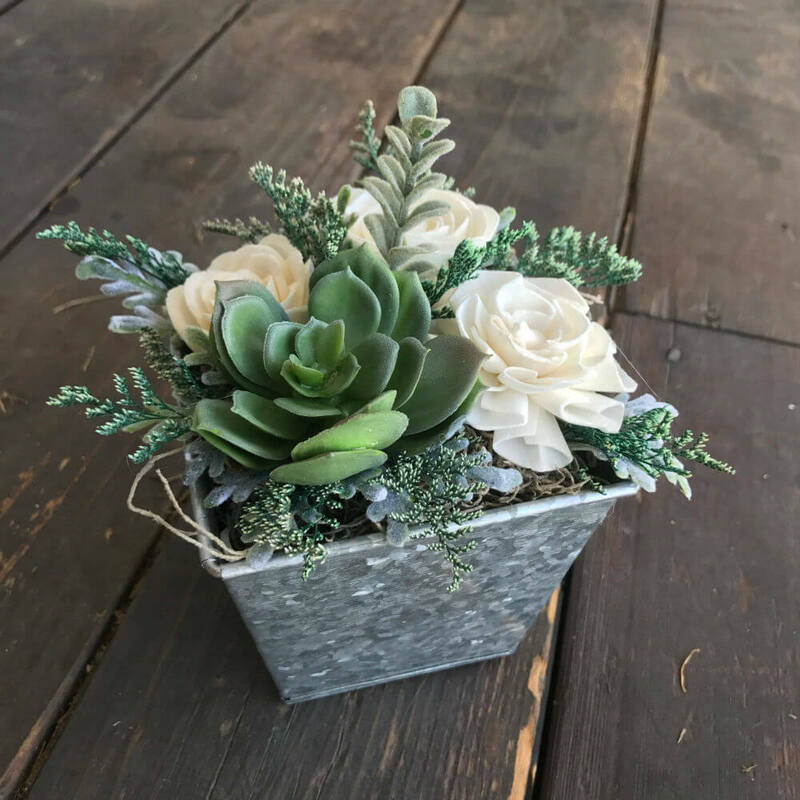 Handmade sola flowers gently offset faux succulents in this beautiful forever arrangement. 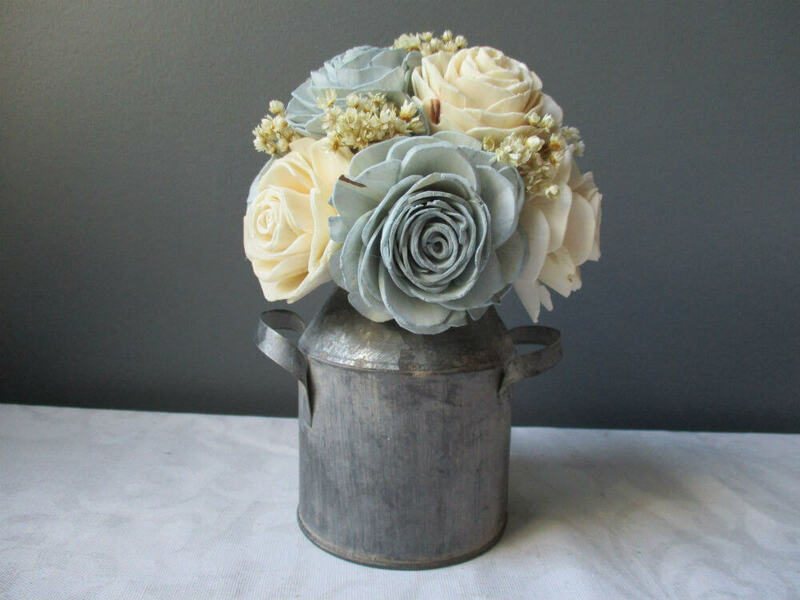 This sweet and dainty centerpiece will add a touch of farmhouse chic with its galvanized vase and wooden roses. There is no watering necessary, as this piece maintains a fresh style all year long. Consider using it as centerpieces for an event or perhaps as an accent in a guest room. The only thing better than a dozen fresh roses is a dozen roses that are just as lovely but will last a lifetime. 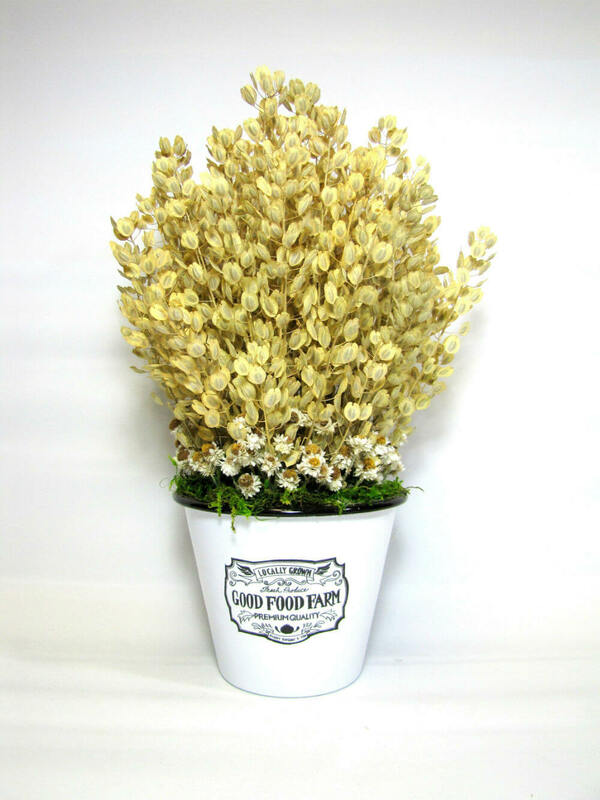 This stunning floral display is great for home décor, as a gift, or even as a bridal bouquet. The colors are totally customizable and the mix of sola wood, burlap, and dried flowers creates the perfect whimsical blend. 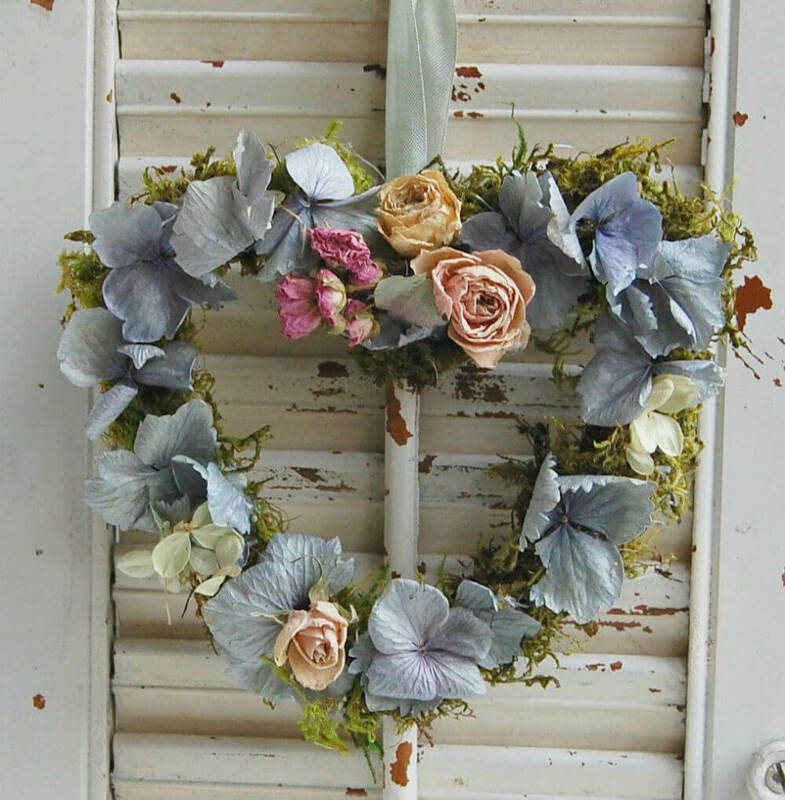 This sweet and custom-made, heart-shaped wreath will make any home feel a little bit more like a picturesque farmhouse cottage. Individually made, this unique delicately hand-crafted piece will fit happily into any space in your home. 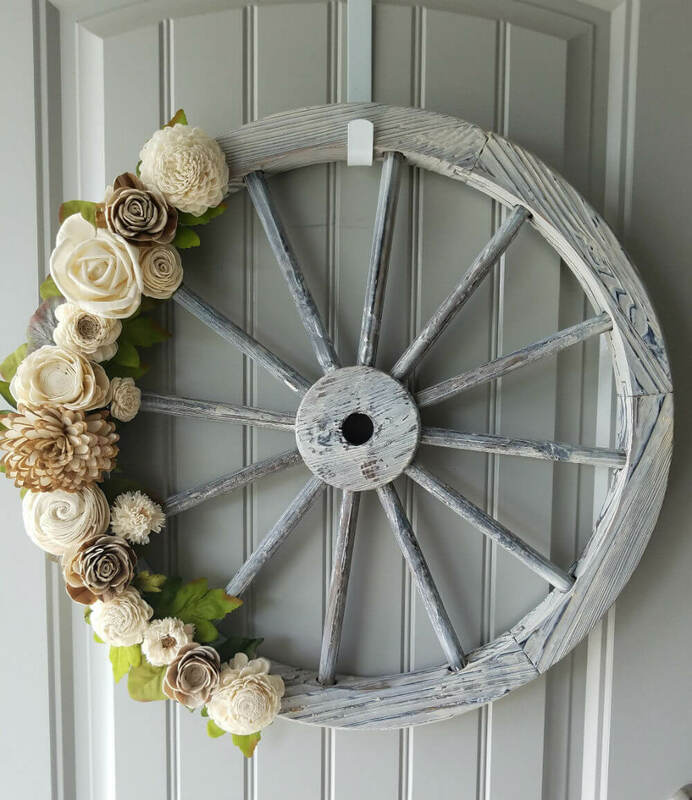 This wreath perfectly balances the simplicity and romance of farmhouse living. For a simple pop of bright color, this pennycress arrangement is just right. Stirring up thoughts of sun-kissed Southern farms, this bouquet will add a bit of cheer to any space. The dried daisies and moss at the bottom work to bring balance between the white vase and yellow pennycress. This drawer-styled centerpiece is overflowing with soft and delicate wooden flowers. The angular lines of the drawer contrast nicely to the soft edges of the beautiful flowers, while the singular knob adds an element of fun. This arrangement would look great on any workstation or on display at an event. When considering any farmhouse flower decoration ideas, it is important to keep in mind a balance of color and rustic charm. 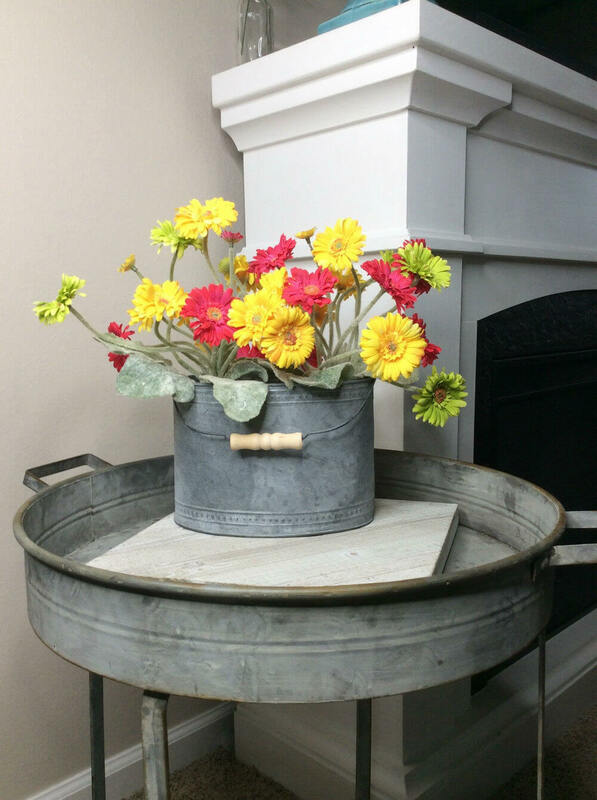 That balance is what you find here with the bright colored daisies offsetting the farm-ready galvanized bucket. These brightly colored flowers will give a burst of life to any room or patio. Country chic doesn’t necessarily mean distressed or rustic. This beautiful sign maintains a farmhouse feel while sporting clean lines and a solid white background. The flower details don’t overwhelm the piece but add a sweet and subtle charm. 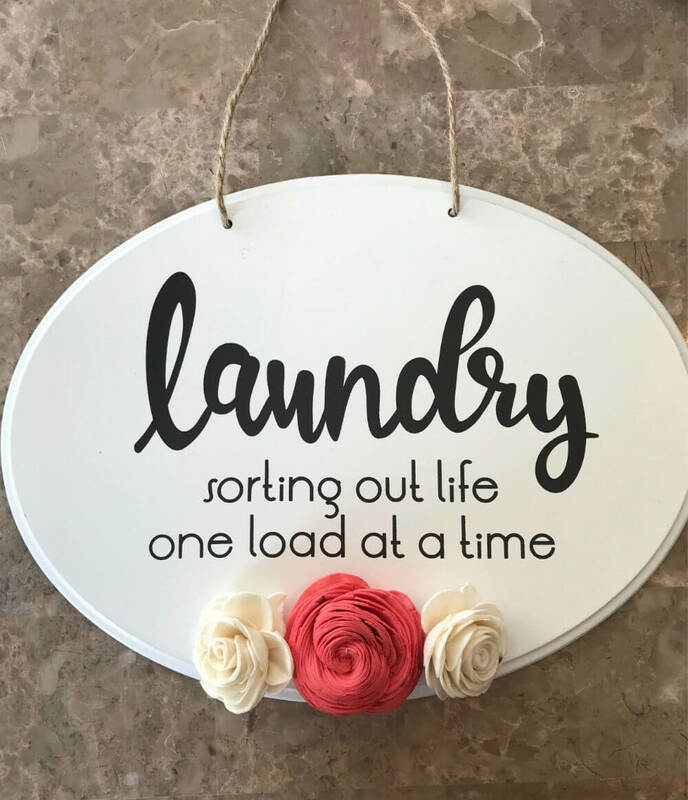 Having this in your laundry room may make doing each load a little more enjoyable. Using a birch vase for your next floral arrangement adds natural continuity to your display and will complement whatever flowers, branches, or plants that you put in it. This customizable vase will only add to any beautiful display and can be used at home, for events, as a personalized gift, or in the garden. 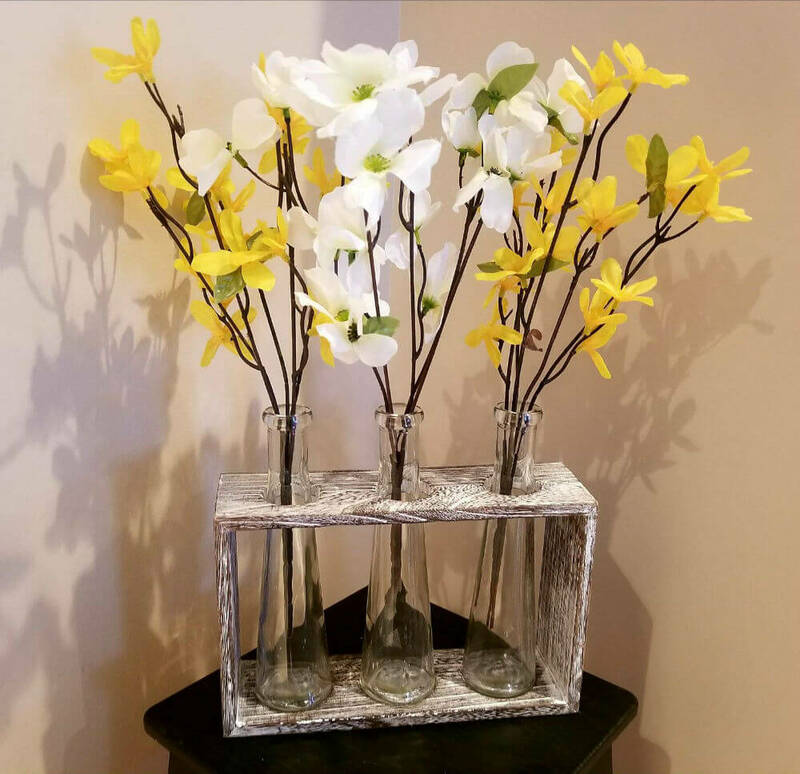 This simple yet elegant farmhouse floral display mixes clear, delicate vases with a whitewashed holder, creating the perfect medium for whatever floral display you choose. Mix and match between branches, long stem flowers, or cotton. This piece will surely emphasis your farmhouse vibe. 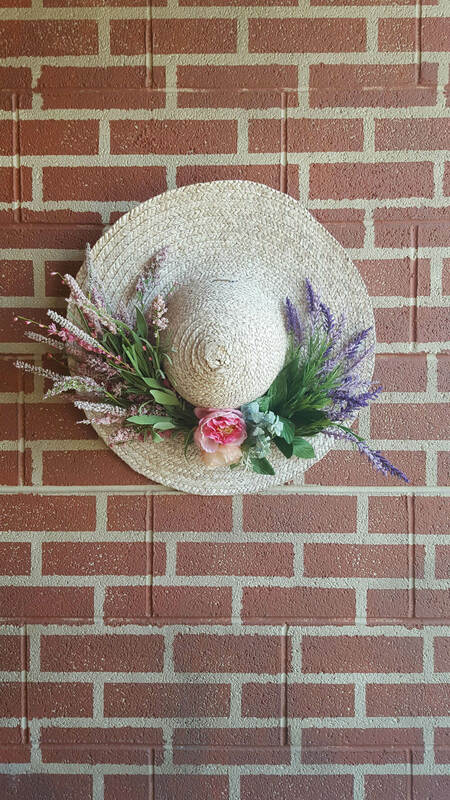 A sweet farmhouse hat, when hung on your wall, makes it look as though you’ve just come in from a lovely day of work out in the garden. 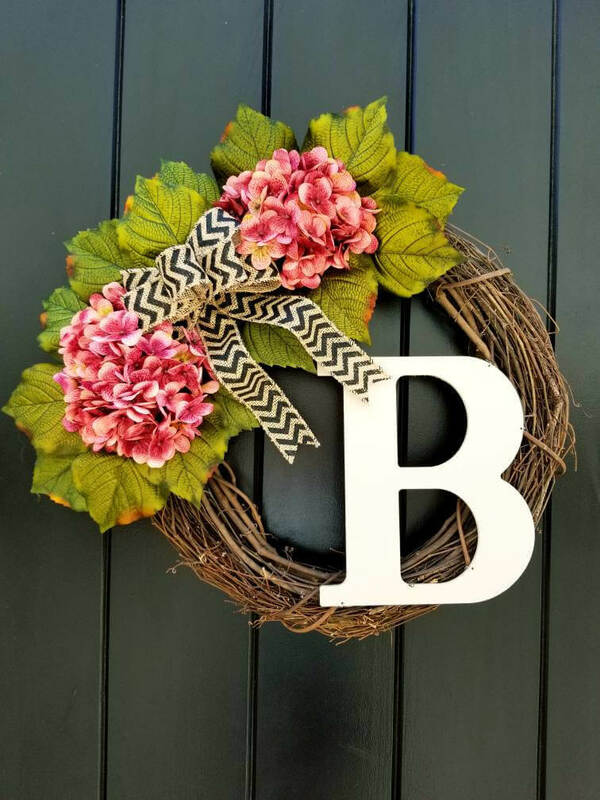 Decorated with colorful flowers, this piece can add a touch of warm hominess to a kitchen, garden, or as a springtime door wreath. This centerpiece brings together the best of both worlds: the soft and subtle sola wood flowers with the hard design of the metal vase. This piece adds charm wherever you decide to place it, and even upon close inspection, these individually painted wooden flowers do not disappoint. The best part is that these lovely flowers can be enjoyed all year. The warm and romantic pale pinks and peaches of this cottage-inspired bouquet will add a kiss of sweetness to any room. 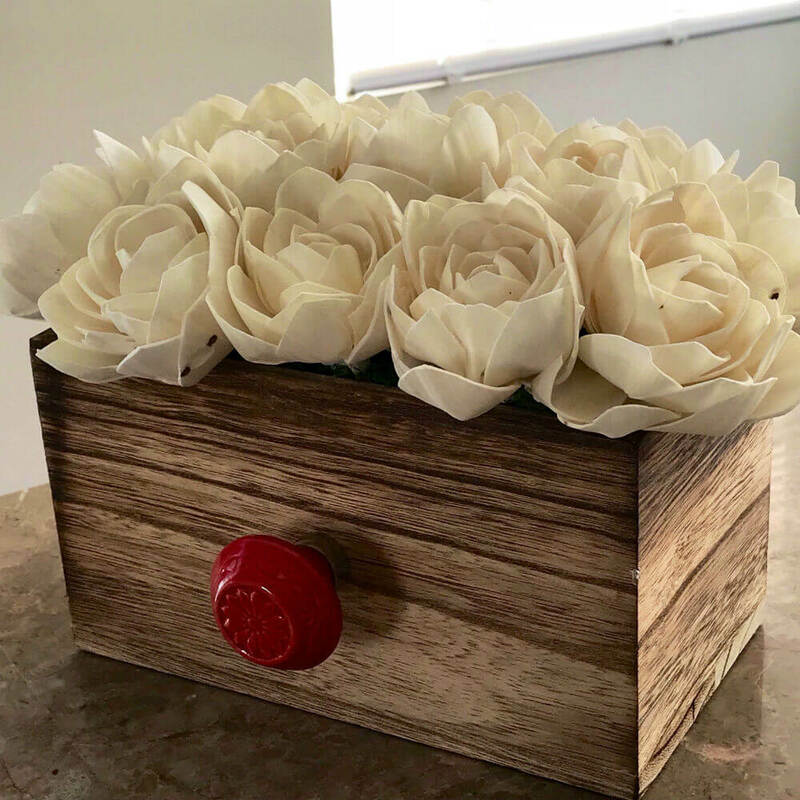 The box is hand painted to flawlessly match the arrangement, and the delicate silk peonies and roses, paired with a perfectly tied bow, will complement any farmhouse-themed decor. This dark wooden wall sconce adds a rustic element to any room. With the included hanging bucket, you will be able to rotate out flowers to match every season. Add a bright arrangement for spring, then mix it up to darker, richer colors for winter. You can also brighten up your room by hanging a lantern instead. This pretty wall display looks like it would be right at home in Snow White’s cottage. With an array of bright springtime colors on a hand-painted, distressed wooden rack, this piece makes for a vibrant and lively addition to your home. And, whenever the flowers fade, simply replace them with your local favorites. If you are looking to add a piece that captures a love of both literature and beauty, look no further than this sweet and delicate wreath. With cool colors, this wreath layers gentle greens, blues, and whites for a perfect farmhouse style to make any home feel a bit more like a romantic cottage. A milk can is the perfect medium for adding a bit of farmhouse charm to any living space. 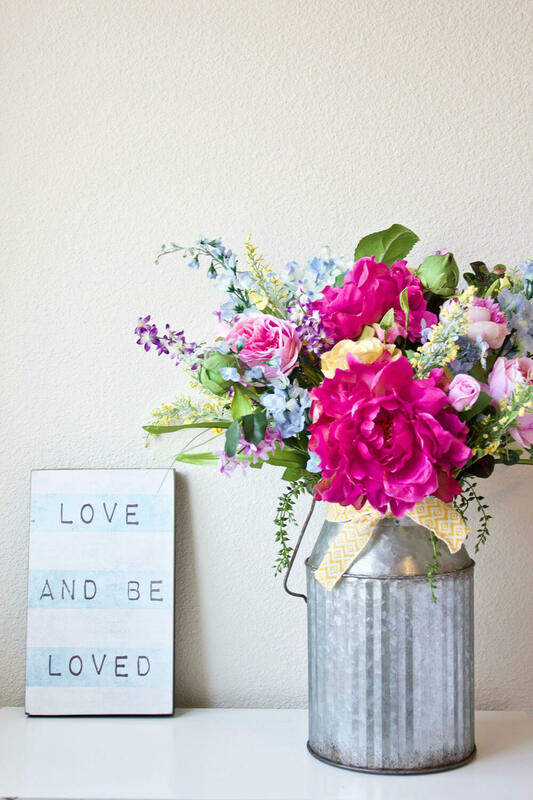 The beautiful summer bouquet is styled just right to soften the metal of the milk can. Together they work in perfect rustic harmony that can serve equally well as a centerpiece or on a side table. Rustic twigs, soft hydrangeas, a perfectly cut monogram, and a bow? Who could ask for anything more! 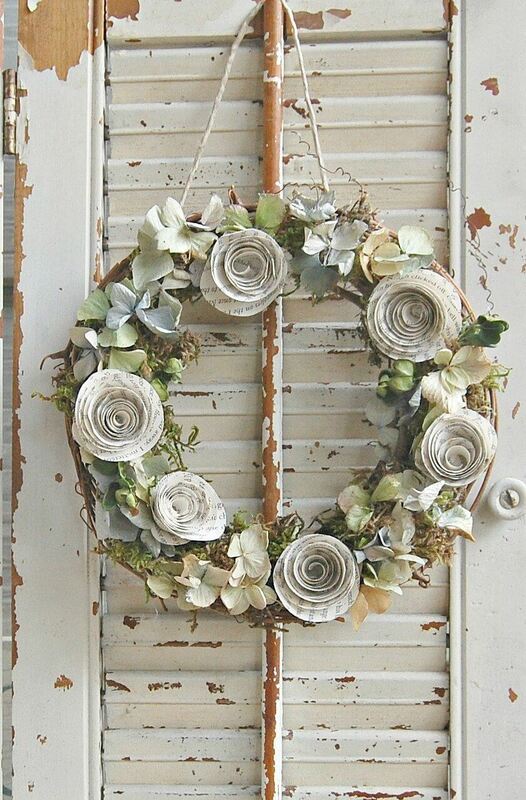 This summery wreath hits every note for a perfect farmhouse-inspired door wreath. Welcoming your guests with this warm piece will put a smile on everyone’s face before they even cross the threshold. Embracing the natural colors of the soft and delicate sola wood, this arrangement plays with browns, creams, and whites to make for a beautiful and natural bouquet. Each flower is crafted with care and are sure to last you a lifetime. 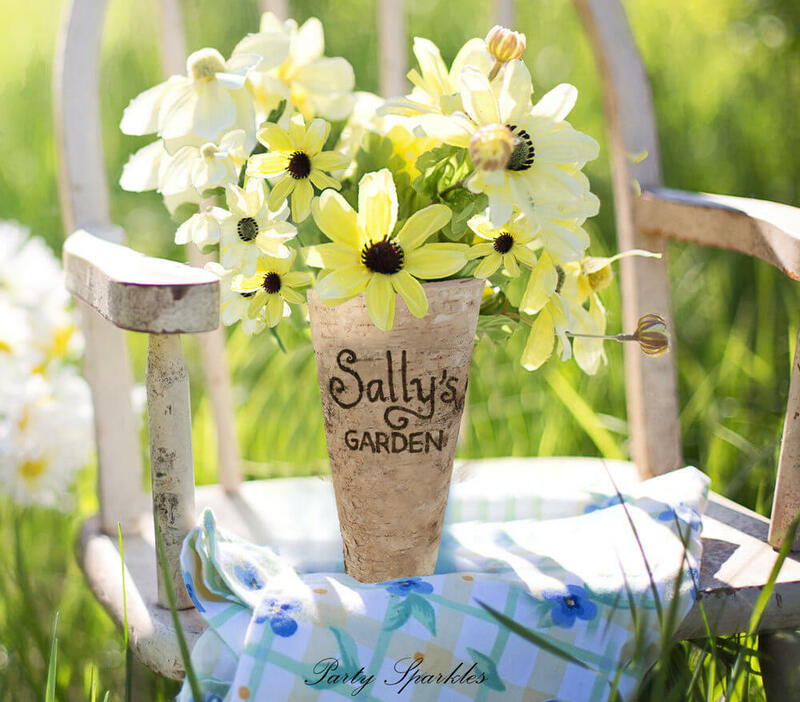 The soft flowers displayed in this vintage watering can offer a subtle beauty. This hand-stained arrow covered in silk flowers, thistles, and greenery points the way in the most fabulous fashion. The piece comes ready to hang in your home or as part of your event décor. The floral elements are totally customizable if another color palate would work in better harmony with your furnishings. 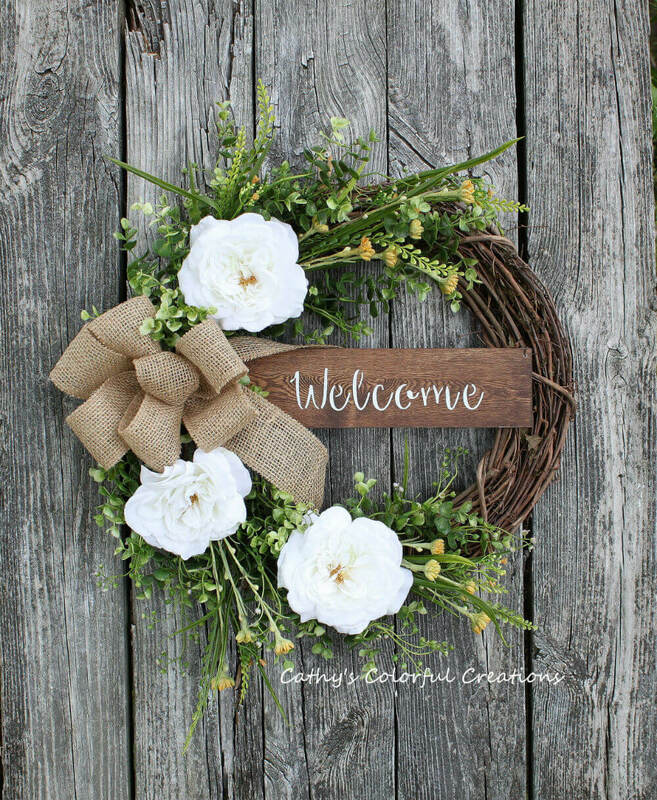 This sweet and charming handcrafted welcome wreath makes others feel right at home even before they step inside. The bright white roses paired with the warm, dark wood and springy greenery make for a stunning springtime wreath. And, to top it all off, there is a perfectly fashioned burlap bow. This piece adds just the right opening touch to any farmhouse décor. 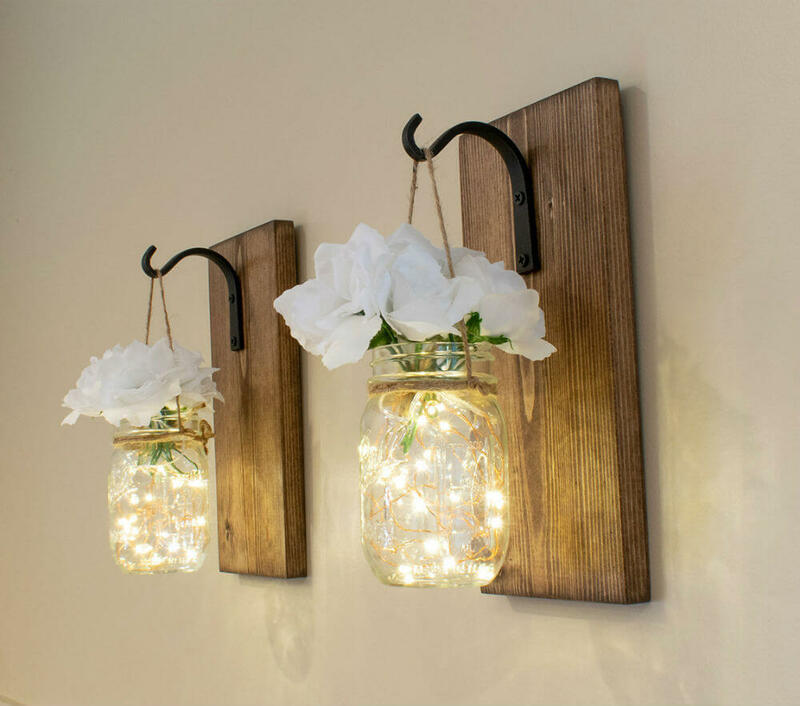 A beautiful and completely customizable set of two Mason jar wall sconces will add whimsy and romance to any room. Choose your own wood and Mason jar color and add battery-powered fairy lights for a kiss of warm lighting. Each bouquet and sconce is well made and, being a set of two, can offset any larger piece. 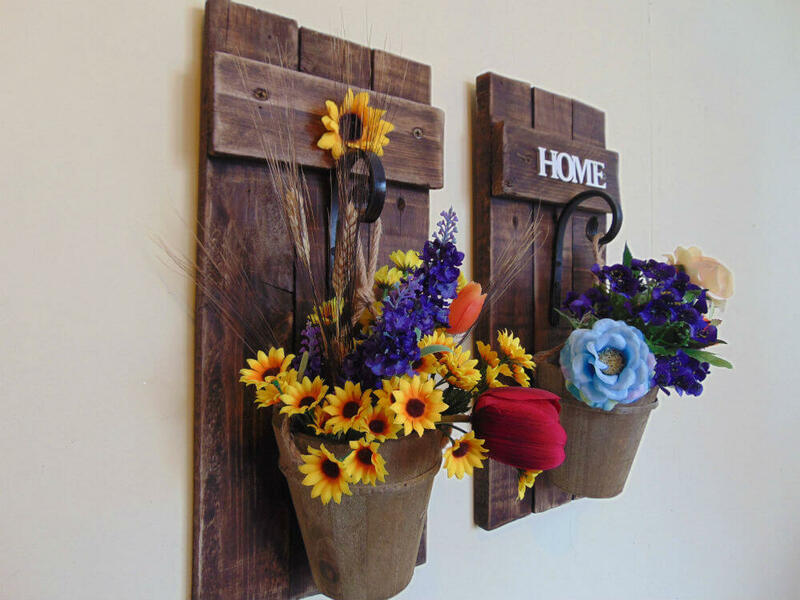 These 25 farmhouse flower decoration ideas will help you get inspired to update and improve your home décor. 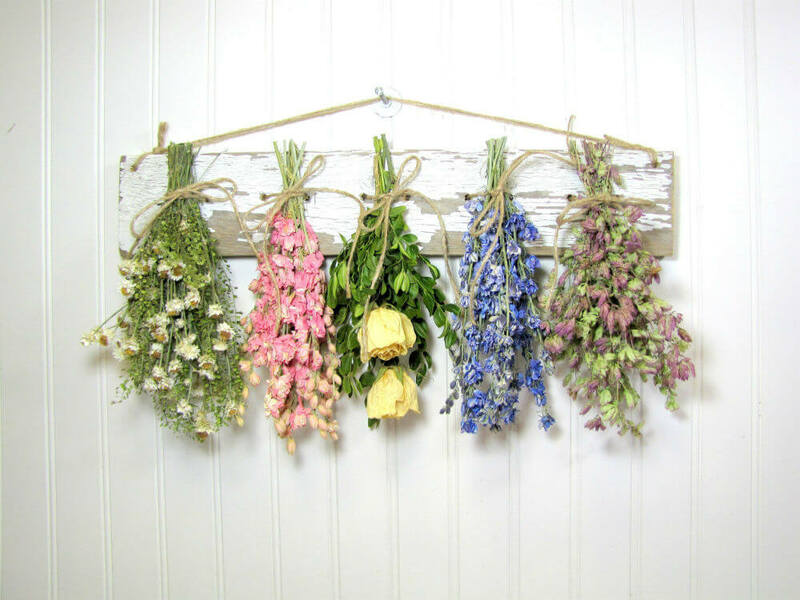 All of the pieces embody country chic and incorporate floral elements, be it dried, wood, or silk flowers. Every one of the Etsy items represented are handmade and truly embrace the farmhouse aesthetic. Many elements are customizable and allow you to decide the color scheme based on what works best for you, and all pieces come from reliable sellers who clearly have a passion for their craft. Each image and description will help you to envision these pieces as lovely additions to your own home décor.